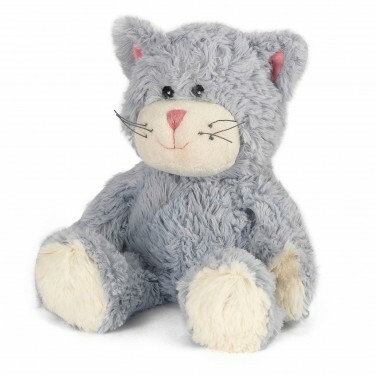 Cuddle up to the adorable Warmies cosy cat for soothing lavender scented warming hugs! 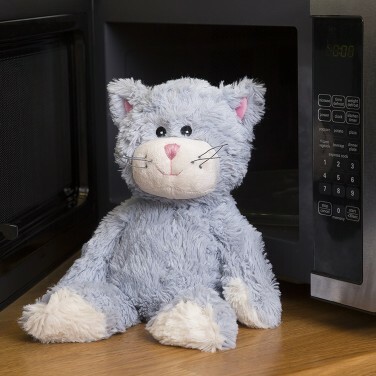 Soft, cuddly and scented with soothing lavender, this adorable cosy cat can be heated in the microwave for the warmest of hugs! A fantastic alternative to traditional hot water bottles, this cute blue plush cat is filled with treated organic material and dried French lavender for soothing scents and comforting warmth. 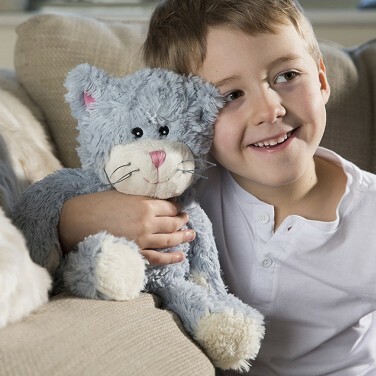 Cuddle up on cold winter night, soothe aches and pains with gentle heat or pop in bed to warm it through, this versatile cat really is a cosy friend! Add a touch of magic to cold winter nights and snuggle up to a cosy unicorn with soothing lavender scents. A playful penguin that gives the warmest of hugs, this cuddly cutey can be popped in the microwave for warm and soothing cuddles. The cutest of pups, this cute plush puppy can be warmed in the microwave to give the cosiest of hugs!